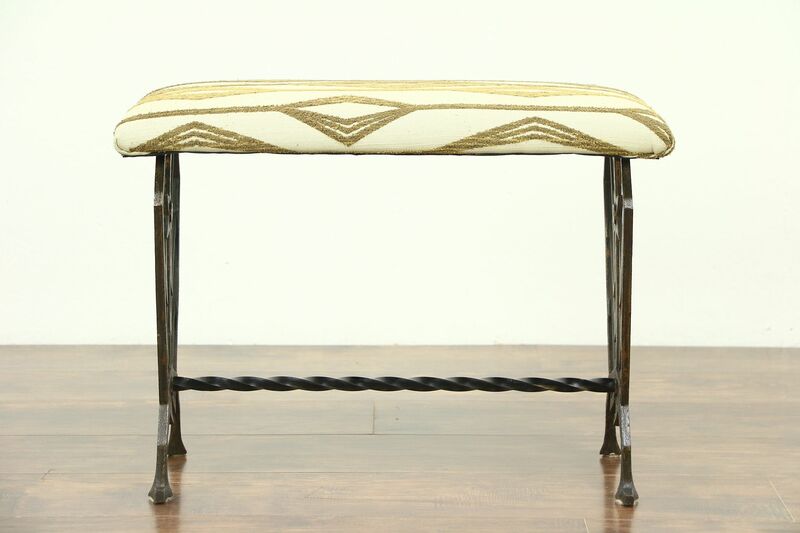 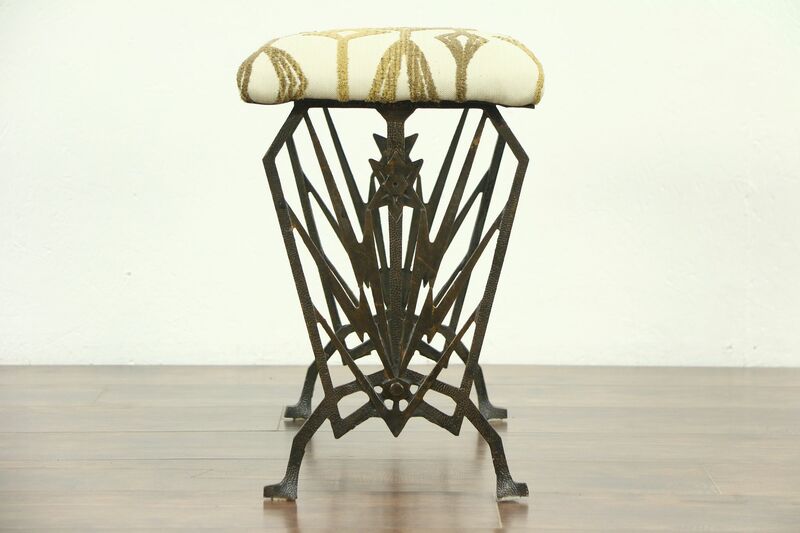 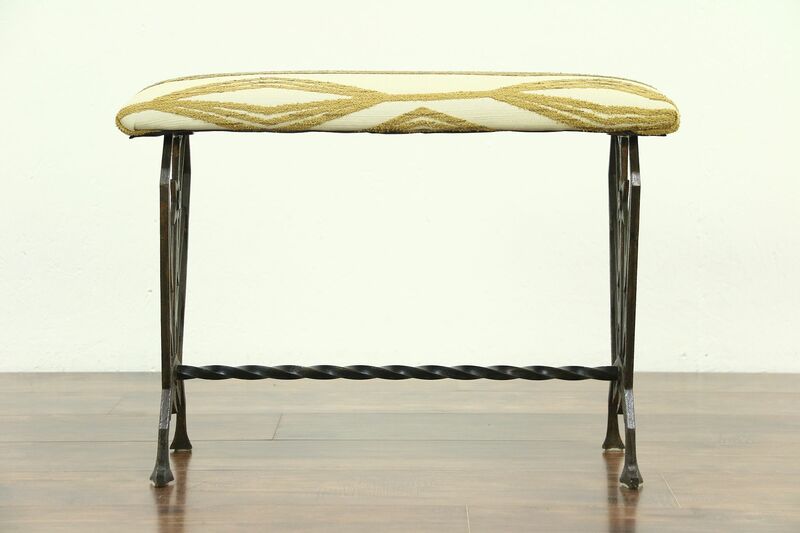 An Art Deco period cast iron bench from about 1925 has a newly upholstered seat in a design of the era. 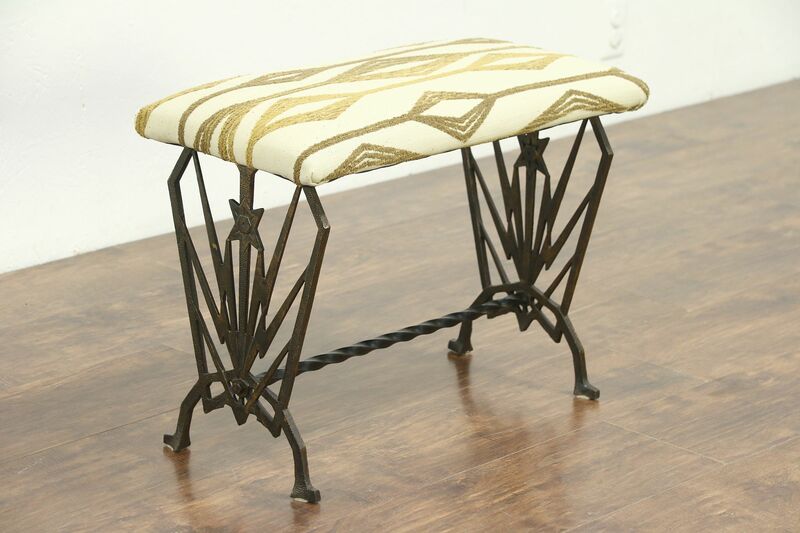 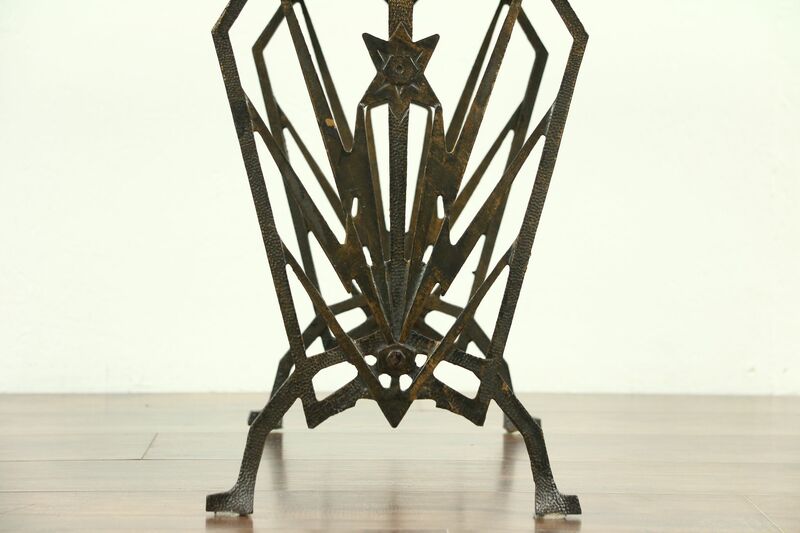 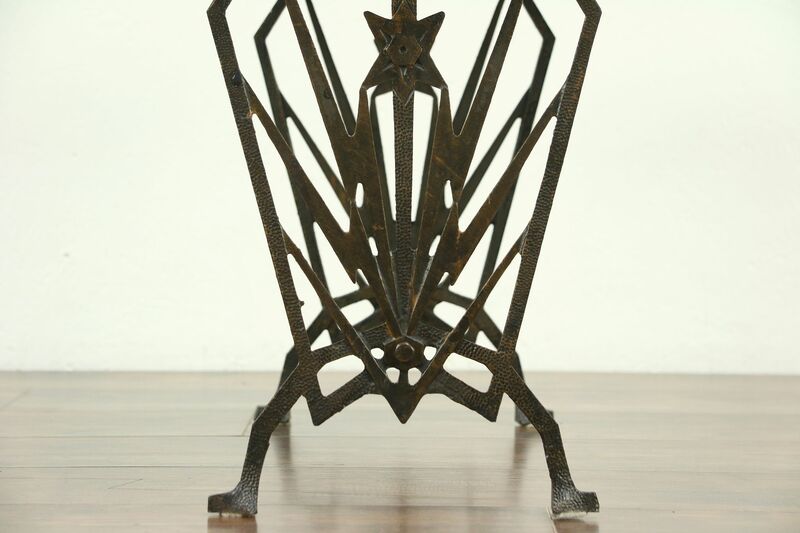 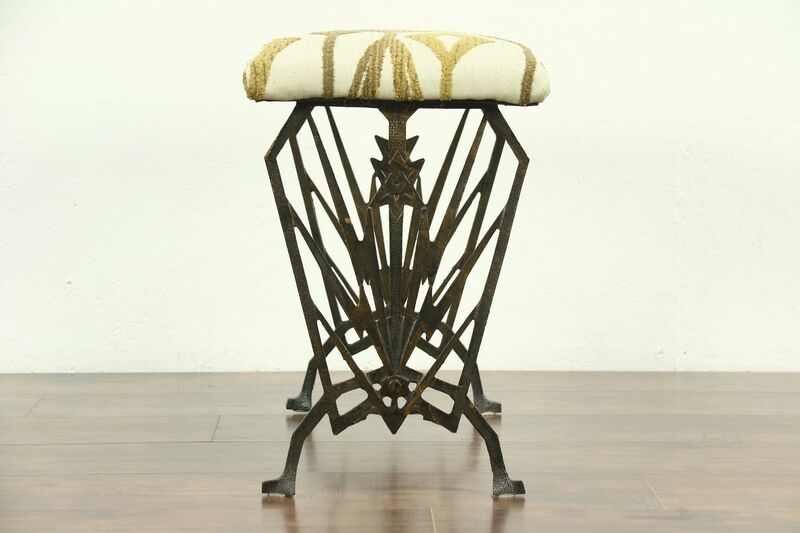 The embossed base has nice antique patina with a dark bronze well worn finish. 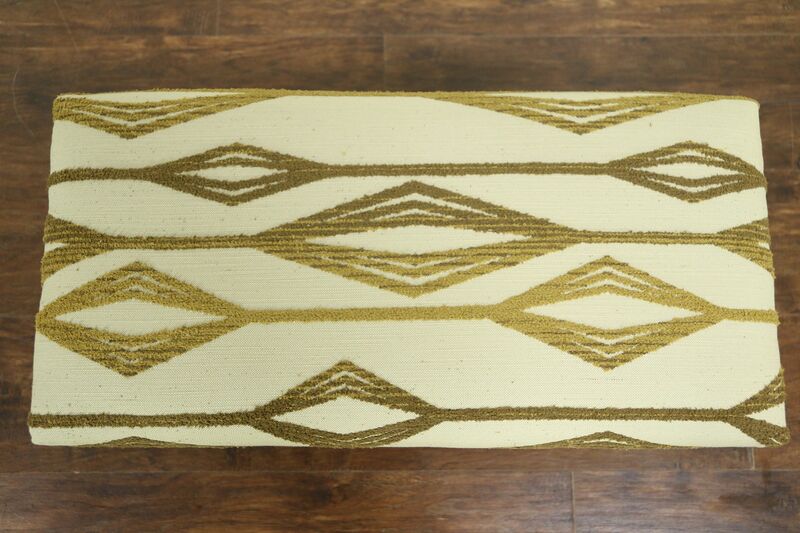 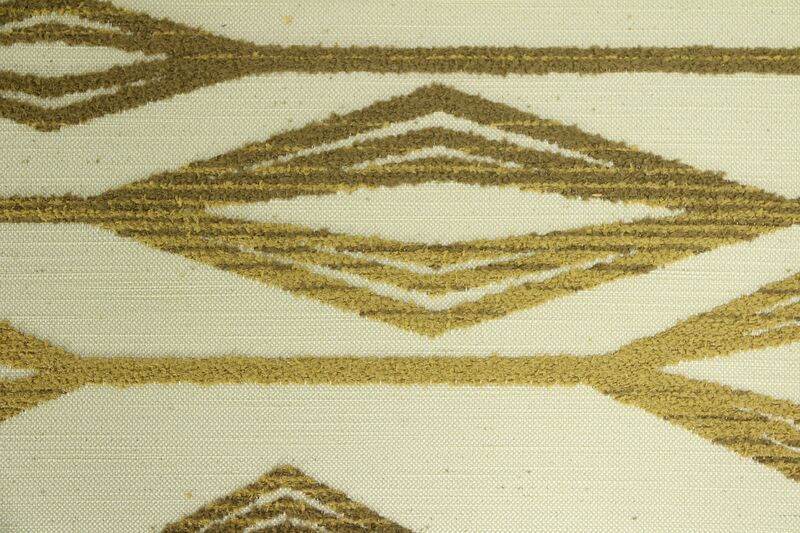 Measurements are 24" wide, 12 " deep and 18" tall.